I’ve never experienced the infamous “Black Friday.” Even though it seems fun, I haven’t had the overwhelming desire to wake up at 4 a.m. and fight for the best deals. I like to do my Christmas shopping at my own pace. I shuffle through stores to find a gift that’s truly unique. I shop online to get ideas. I even make my own gifts. 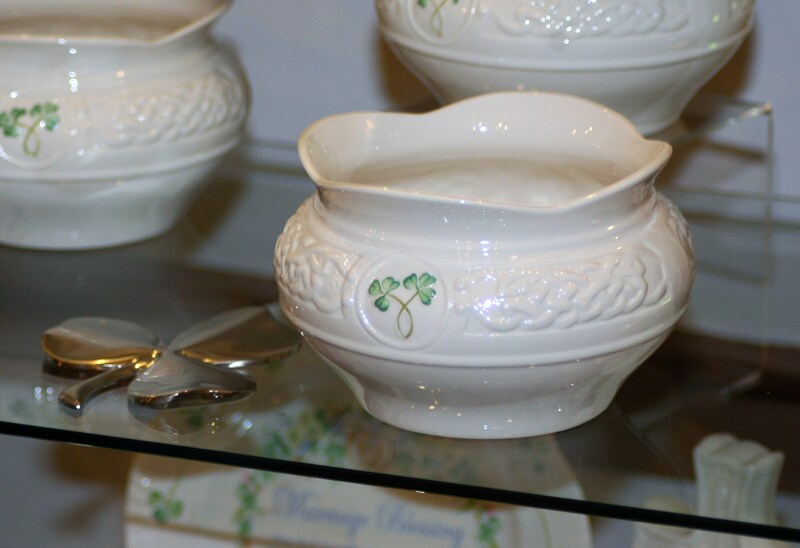 When I heard about the recent Belleek Signing Event at Ha’penny Bridge Imports of Ireland here in Dublin, Ohio, I immediately knew I wanted to check it out. I had no idea what Belleek Pottery was, but the event was centered around Belleek Representative--Roy Troughton--who was available to personalize your gifts with a Gaelic saying. So after work I strolled down the brick sidewalk to our neighboring Irish import shop. When I entered Ha’penny Bridge Imports of Ireland I was greeted by Big Al, the store’s owner, suited up in a traditional Irish outfit (plaid kilt and everything). 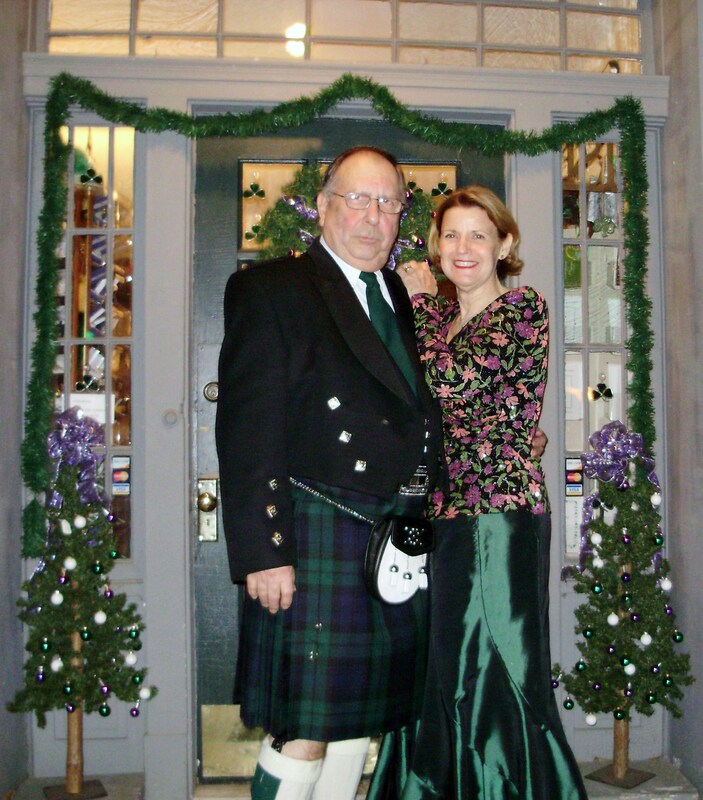 He offered me champagne, Irish potatoes, and gingerbread cookies. His wife Anne, explained to me the history of Belleek as I sipped my drink and enjoyed the satisfying snap of gingerbread. No two pieces are ever the same because each is crafted individually using techniques that have been passed down for generations. After looking through the collections available at the store and receiving personal attention from one of their sales staff, I found three perfect gifts; a limited edition cachepot for my grandmother, a vase for my best friend and something special for myself. I couldn’t resist! Big Al and Anne helped me decide my Gaelic sayings and Roy scripted them beautifully on the bottom of each piece. I left the store with my bag in hand and breathed in the cool air. I felt refreshed. The shopping experience I had at Ha’penny Bridge Imports of Ireland could never compare to the mayhem I imagine “Black Friday” creates. I’m looking forward to continuing my Christmas shopping so that each gift will have a story behind it. Ha&apos;penny Bridge Imports of Ireland is open Monday -Saturday from 10 a.m. - 5 p.m. The shop is located at 75 South High Street in Historic Dublin.